Huggies® Snug & Dry® diapers come with SureFit® design’s added with leakage protection. New Surefit® design for up to 12 hours of leakage protection. SnugFit® waistband and more flexible absorbent pad to move with baby's twists and turns. Trusted leak lock system with quick-absorbing layers and long-lasting core to lock in wetness. New softer outer cover with adorable Mickey & friends Disney designs. 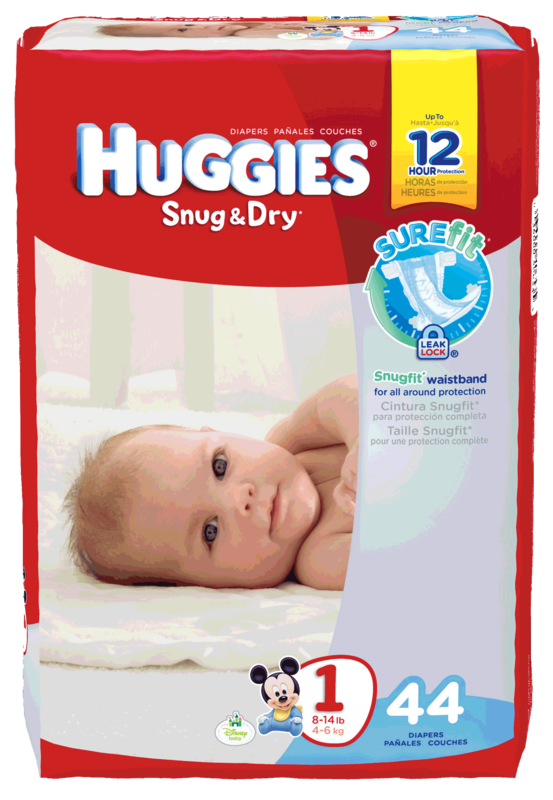 Huggies® Snug & Dry® diapers have SureFit® design for up to 12 hours of leakage protection. SnugFit® waistband for all-around fit. Closer-to-body fit to move with baby’s twists and turns. Stretchy, flexible and strong to keep the diaper in place. Eliminate that annoying gap in the back of the diaper. Long-lasting, absorbent layers through leak lock® design. Quickly wick away moisture and stop leaks.